Every four years, our members choose a set of common ambitions to situate the work of all of our members and teams as part of a complementary and consistent whole. Having these ambitions also fosters our collaboration with friends and partners. The Common Ambitions for 2013-2017 were chosen based on evaluations of ATD Fourth World’s work, on exchanges in May and June 2013 among 78 groups of our members in 30 different countries around the world, and on what we learned from the work on knowledge and understanding carried out as part of our 2008-2012 Contract of Common Commitments. This dynamic of decision-making mobilized a large number of ATD’s members around the world. It is a key part of how we strive toward governance echoing Haiti’s “tèt ansanm”  approach: working together, based on shared responsibility and on seeking each person’s contribution. The “we” in this document refers to members of ATD Fourth World. ATD Fourth World’s Common Ambitions for 2013-2017: Executive Summary Gaps in living conditions between people struggling against extreme poverty and others continue to grow. The lives of families in poverty are in never-ending crisis; every day is an emergency. Too often, society’s attempts to respond to extreme poverty, whether by running emergency shelters or through large-scale international aid, are planned with almost no consultation with the people this aid is intended to benefit. It is at the heart of emergencies that we carve out our long-term presence and projects, thinking them out with everyone who will be affected. Our vision of society is one based on mutual respect, resistance to exploitation, the pooling of resources, and the search for consensus. The violence of extreme poverty, ignorance, deprivation and contempt isolates people and locks them in silence to the point where they doubt that they are part of the human community. Recognizing the efforts made by young people, children and adults in poverty so that no one is left behind, and combining our strengths to reach out to those still unreached, are essential steps on the path towards overcoming extreme poverty and building peace together. 7 People in situations of extreme poverty are prevented from benefiting from the common store of knowledge, from expressing their own experience, and from participating actively in projects that affect them. Wasting the intelligence of men, women, youth and children living in poverty is a serious form of discrimination. In partnership with others, we will through our projects bring recognition to the life skills and knowledge of those who resist extreme poverty in their daily lives. We will support families as the first place of education, gather support to help institutions of learning become more inclusive, and promote the Merging Knowledge approach as a way to produce new knowledge that draws on all available sources of human intelligence and skill. Today’s economic system subjects people in extreme poverty to extreme exploitation and often constrains them to uselessness. Yet, day after day, these people struggle and toil to provide for their families. Around the world, there are many initiatives for the public good, fair-trade and promoting self-sufficiency and community resilience. The challenge we are taking on is to ensure that people in extreme poverty be able to participate in these projects. Speaking of peace means recognizing the violence of extreme poverty, and the efforts made by people enduring these conditions to working for peace. We aim to increase public awareness and civic engagement in society in ways that refute prejudice against people in poverty, and that defend their human rights. Everyone’s efforts are needed, and it is important that everyone have opportunities to show their solidarity. By organizing in this way, we can also protect our freedom of action by expanding our network of friends and donors. Being able to live together as part of a family—one of the deepest human aspirations—is too often challenged. Different societies consider parents in extreme poverty incapable or blame them for their children’s hardships, doubting their efforts and their love, and imagining solutions without them. The lives of families in poverty are in never-ending crisis; every day is an emergency. In the thick of this reality, families try again and again to hold on and start over—for their children, themselves and their neighbors, and for their country and the world. There is not a moment’s rest in this struggle, whether in Noisy-le-Grand (France) where the next stage for our project promoting family well-being is hemmed in by limitations, in Manila (the Philippines) where families living under a bridge continue to be threatened with eviction with no appeal possible, or in any of the other places we work around the world. It is at the heart of emergencies that we carve out our long-term presence and projects. In recent years, major ongoing crises—climate change, the financial crisis, shortages or price spikes affecting access to food and energy, political and social crises and natural disasters—have hit populations in extreme poverty the hardest. Armed conflict has also taken its toll. In the Central African Republic, families who were struggling to make ends meet already before the current troubles are now enduring even greater hardship. While they have no food stored, and can’t manage without a single day’s earnings, the conflict has often forced them to stay shut inside their homes. They are abused and often threatened and forced to work without pay. All of the efforts made by parents and children for education have been brought to ruin because of the interruptions to the school calendar. Some of the young people will not be able to return to school because they have lost one of their parents, or because their home has been looted or their field stolen. Young people feel their vulnerability to the different militias enrolling new members. Despite it all, instead of giving up, many of our members are determined not to leave children to face this violence alone. They go out to meet the children with books “for the disarmament of the mind.” They say that the courage they have comes from being together to resist and to stand for peace. While the indicators used in statistical studies show some positive results in the reduction of poverty, international organizations increasingly agree that extreme poverty persists  and results in insecurity for families enduring it. This observation, however, remains considered as affecting only those on society’s margins. It has not even challenged policy-making, let alone transformed the way society operates. Programs meant to protect the environment  , foster development and even tackle poverty  are too often based on a lack of understanding of extreme poverty and have the consequence of leaving behind people in extreme poverty and worsening their situation. In emergencies, the first responders’ priorities are speed and scale. That priority obscures the vital need of involving everyone in decisions that affect them. The result is that aid projects often backfire against people in extreme poverty and undermine their dignity. This is what happened in Haiti in the wake of the 2010 earthquake. Once again, we learned from the experience and the history of an entire population. Finding new ways forward meant redoubling our efforts all together. Emergency aid was planned with no knowledge of the realities of extreme poverty there, and without equal voice given to international agencies, national authorities, and Haitians who had long been committed to the welfare of the most disadvantaged. This short-term aid often weakened established, long-term projects. For example, by offering high salaries with money from international aid, emergency projects created a brain drain by causing local professionals to desert less well-funded but sustainable local projects. Other aspects of aid were designed in dialogue with “leaders” who do not truly represent the people. This not only created tension in communities, but it meant a new risk of arbitrary discriminatory treatment for the weakest people. Massive intervention by a variety of international agencies each acting separately also damaged the economy by creating price inflation and threatening domestic production. This failure of international aid, now widely recognized but not always understood, causes discouragement and undermines confidence in the country. For as long as we have been in Haiti, we have sought to show others the thoughts and efforts of people who are the most isolated by extreme poverty. With them, we have built on the strength of their vision of society which is one based on mutual respect, resistance to exploitation, the pooling of resources, and the search for consensus. This societal project is very deeply rooted in Haiti’s experience of slavery and of having fought for a people-centered community. It remains a reference for our work. What Kind of Governance Can Protect All People? On the political front, in recent years citizens in more and more countries have been questioning how their countries are run, losing confidence in political and institutional promises and in flawed accountability systems. Governments have not managed to provide public safety and social protection for all; multinational corporations disregard the human and environmental consequences of their actions; and many non-governmental organizations’ programs are donor-driven at the expense of the populations they claim to serve. A few governments or groups of citizens, however are beginning to recognize the violence inflicted in the recent past on people and populations because of poverty. For instance, on 11 April 2013, the Swiss Government apologized to the people who as children were, until 1981, forcibly placed in alternative care, and to those were subjected to coercive measures because of their indigence including sterilization without consent, and abuse in institutions. The government initiated extensive work to learn from this dark chapter in its national history. The reality today is that families in extreme poverty, both in Switzerland and across Europe, continue to endure unilateral decisions made about them. This Swiss initiative, to which these families should be able to contribute, is highly awaited and could inspire other countries. The evaluation of the UN Millennium Development Goals opened an important debate on the struggle against poverty and the choice for post-2015 development policies. Civil society, governments and international organizations are increasingly recognizing that their current practice of defining extreme poverty simply as those who live on $1.25 per day does not sufficiently account for the magnitude and complexity of extreme poverty. “Leave no one behind” is becoming a call to action, breaking with the past target of reaching 50% of the poor—a target at odds with human rights, and one that marginalized the people hardest to reach. ATD Fourth World has been opposed to this target since it was set in 2000 because it encourages policy-making focused on short-term results by addressing only the people easiest to reach. Recognition is spreading that extreme poverty exists in every part of the world. Recently a better reference point has been advised: creating “targeted support for the poorest” in any program. Even if there is not complete consensus on all these points, they give leverage to counter the continued belief that economic growth is a panacea to poverty and social exclusion. It is a testimony to the importance of these principles that they were cited several times by the French National Consultative Commission on Human Rights in its[ recommendation on discrimination based on social background-http://www.cncdh.fr/node/953], made in September 2013.13 By affirming for the first time so clearly that respecting human rights requires eradicating extreme poverty, these international legal principles are a powerful new tool in the fight against social exclusion and serve as a blueprint for shaping the post-2015 development agenda. This section outlines accomplishments regarding our 2008-2012 Contract of Common Commitments, and notes points of continuity between these commitments and our Common Ambitions for the coming years. The common focus at the heart of the Contract was the 17 October 1987 appeal by Joseph Wresinski, engraved on the commemorative stone in Trocadero Plaza: “Wherever men and women are condemned to live in extreme poverty, human rights are violated. To come together to ensure that these rights are respected is our solemn duty.” The World Day for Overcoming Poverty gives an annual rallying point to all people who resist poverty and who organize on behalf of inalienable human dignity. The International Committee for October 17th was created in 2008,  and different organizing tools have been put in place, such as the Overcoming Poverty website, and the Charter for October 17. We chose to focus on the words “to come together is our solemn duty” because of the humiliations in the lives of families in extreme poverty, and also because of the world’s current obsession with security, and the discourse and measures that widen the gaps between people and nations. “To come together” means joining the families who have difficult lives around the world, and seeking with them and society as a whole ways to respect human rights for all, to build a sense of community, to respect one another, and to think, act, look and speak to each other differently. Our participatory research project, “Poverty Is Violence—Breaking the Silence—Searching for Peace,” showed us that coming together for peace is never achieved once and for all, but must be part of a continual striving. This research—carried out in 25 countries with 1,000 of our members, and in partnership with academics, community workers and institutions—led us to understand better the gravity of the violence suffered by people in extreme poverty, and how their resistance to it is more than a survival instinct. It is a determination to build peace. Because of this work, we think it is no longer possible to speak about peace without naming and recognizing the violence of poverty. Nor is it possible to speak about violence without affirming that people living in extreme poverty, and all those who support them, strive toward peace. This work became the starting point for our 2012 General Assembly, where our goal was to sustain the motivation of activists, allies and volunteers. The research on violence and peace also drove a second study of ours, one to evaluate the UN’s Millennium Development Goals (MDGs). It was conducted with about 2,000 people: people living in poverty, academics and international experts. This work formulates proposals for the international community’s next goals to renew the focus on eradicating extreme poverty, but this time with the participation of people living in poverty at the heart of its decision-making. Our work on violence and peace also became the underpinning for the recognition of people living in poverty as artisans of peace. Dr. Federico Mayor Zaragoza,  following his participation in the final colloquium of our research project on extreme poverty, violence and peace (held at UNESCO in Paris, France), wrote in January 2013 to the Norwegian Nobel Committee to nominate ATD Fourth World for the Nobel Peace Prize. Since then, almost 70 public figures from around the world have chosen to support his initiative, voicing agreement with his affirmation that those who suffer the violence of extreme poverty also resist it and are the first to build peace in their villages, neighborhoods, nations, and in the international community as a whole. Recognizing Artisans of Peace: All Together in Dignity, a document presenting this aspect of ATD Fourth World, was finalized in June 2013 and sent by Mr. Mayor Zaragoza to the Nobel Committee. . Renewing our work on knowledge and understanding, beginning with the experience of those living in extreme poverty, in order to take on and challenge the major issues in our societies and the world. In recent years we have increased efforts to ensure that all of our members together take the means to play an active role in building collective knowledge and understanding of the living conditions of extreme poverty. For people living in poverty, joining in these projects was often the first time that they were involved in rigorous, long-term work to build knowledge and understanding. Whether while evaluating our work in a given country, or during the regional and international seminars on “Extreme Poverty, Violence and Peace,” or the evaluation of the Millennium Development Goals,  they demonstrated the value of the unique contribution rooted in their life experience. They expressed their hope to “break the silence” about subjects too long kept quiet, and to do so under conditions protecting them from reprisals and from having their words co-opted. ++******************+P eople who do not have a lived experience of poverty also developed knowledge and understanding. They drew on their experience at work as professionals, or in their communities as citizens. To enable each person to speak from his or her own experience, and to develop their thoughts without analysis or discussion by others. Conversely, each person needs to hear the knowledge and thinking of “the other” in order to build a collective voice. This approach requires creating the conditions for ongoing learning adapted to each participant’s needs and rhythm. To open doors into universities and local, national and international institutions so this knowledge and understanding are shared, discussed, developed, and disseminated as a catalyst for change. To invest time in collecting, indexing and protecting archives, and to create the conditions needed to make them available. This includes our written documents, photographs, audio and audio-visual recordings, artwork and crafts, and our digital archives. We will continue to work at the International Joseph Wresinski Center and in each of our teams to ensure that the members of the Movement are supported in their responsibility for protecting and preserving the memory of the Fourth World. To intensify our experimentation with and dissemination of the Merging Knowledge approach, both within our own projects and with other partners. More than a methodology, it is an approach to building Emancipatory Knowledge. This approach’s recognition remains limited, but it responds to a need of stakeholders in social action, participatory research and policy work: that of creating relationships of reciprocity with populations living in extreme poverty. In the previous Contract of Common Commitments, we focused on nurturing and making known the ethical choices that guide our fundraising and budgeting. Since then, we created a charter of ATD Fourth World’s financial ethics, as well as a document on the financial choices made by our Volunteer Corps. In every country, we are developing clear guidelines in the framework of one common spirit. Making possible and supporting the participation of all. This means traveling and having places suitable for gatherings. This investment was made specifically for the participatory research project on knowledge and understanding, for dynamics involving young people, for the evaluation of the Millennium Development Goals, and for the 2012 Movement-wide General Assembly. For every international event, we tried to have a great diversity of participants, and particularly to have many participants who are living in poverty. Inviting new people to join us, and sustaining the involvement of all our members. The number of volunteer corps members increased from 380 to 460 between 2008 and 2012. This investment meant developing projects with young people, and also investing in communication: equipping teams in every part of the world with computers and internet connections; developing an intranet to support our internal communication; and launching new websites and audio-visual creations to make our work more public. Investing in the means needed for a lasting presence alongside families in extreme poverty, and in developing our projects in various regions. Between 2008 and 2012, teams in Tanzania, Guatemala, Bolivia, Haiti and Madagascar needed new physical spaces to develop projects. In France, a national Fourth World center is under construction. This development of innovative projects, the fact that new people join us, and our investing in the priorities chosen for the 2008-2012 Contract of Common Commitments all mean that our expenses grew faster than our financial resources. Since 2008, the number of donors and of individual donations grew only marginally because of the global economic crisis and the financial difficulties that have affected all non-profits. Our ethics led us to avoid risky investments and thus limited our losses. Our network of friends, with whom we have built strong trust, continued to support us, despite the crisis. However, our financial well-being is fragile, and convincing new people to begin supporting us is crucial in the coming years. While continuing to cultivate our ethics, be bold in asking for financial support from people and institutions. In the spirit of interdependence and solidarity, invest time and creativity in seeking funding for a team’s own projects or those of other teams. Have an operational database in which to save all new contact information and ensure a regular link with our friends and donors. Think about funding sources and the preparation of budgets at the point of project design. In Senegal, young people formed flood-fighting brigades. In Honduras, Central Africa, Switzerland and many other countries, they run Street Libraries and other creative projects with children. In Madagascar, young people learned computer science while using the pedagogy of non-abandonment to ensure that none of them would be left behind. In many countries, it is young people who organize events for October 17th. Some young people, involved in their own communities, are threatened by violence linked to drug trafficking, gangs, or even in some places armed conflict. Despite this, they are determined to effect change. Supporting all young people and in particular those with the hardest lives means taking time and finding room to come together for planning and training, for common projects, and for relaxing, celebrating and enjoying friendship. Region-wide dynamics supporting young people were organized in Europe (the Djynamo project) and in Africa (with a gathering in Bangui). Welcoming young people in ATD Fourth World’s Volunteer Corps is another facet of our investment that will continue. Between 2008 and 2012, the number of volunteers under the age of 30 almost doubled. Many of them were given the responsibility of joining very disadvantaged young people in various projects. We are conscious of the richness of an inter-generational movement where all of us make efforts to create space for one another. It is important to us to continue these efforts, particularly given that in some countries we have not yet managed to create or sustain this kind of a dynamic of getting to know and welcoming young people. This dynamic with young people will be continued in connection with each of the priorities of our 2013-2017 Common Ambitions. Reaffirming through our work that culture, art, beauty and creative expression are essential for the development of each person and population In these past few years, we have emphasized creative expression as a manifestation of resistance to the violence of poverty: paintings and sculptures created and exhibited as part of the research on “Poverty Is Violence”; a mobile sidewalk easel in low-income districts of Toronto (Canada); a Walking Exhibit in Manila (the Philippines); art workshops during working sessions; theater and painting projects with both amateur and professional artists for children, young people and adults in Noisy-le-Grand (France); and a host of other projects in Madrid (Spain), Cuyo Grande (Peru), Appalachia (USA), Brussels (Belgium), Paris (France) and elsewhere. The projects initiated by our members contributed to developing a pedagogy of personal and collective creation. These varied experiences created connections among people and meaning. Workshops for theater, painting, singing, creative writing and other forms of art have proved again and again to be a path to self-esteem, to trust in oneself and others, and to freedom. Enjoy moments of bounty and wonder for each person, and moments of peace, alone or in groups. In the face of adversity, this allows us to draw strength. Enrich the continuing evolution of the world’s culture, thanks to what everyone has to contribute. The violence of extreme poverty locks people and families into a terrible spiral of ignorance, deprivation, contempt and silence. Despite this, they resist day by day by surviving, by joining others and by building a sense of community. Their resistance gives them a unique experience and knowledge that society overlooks or ignores. In so doing, society robs itself of a contribution that is irreplaceable for facing today’s global challenges. These people and families are missing from all the places where society takes shape. As members of ATD Fourth World, we join people and families who are abandoned and stigmatized because of extreme poverty. Standing all together in dignity means acting such that all people will be taken into account and counted on wherever decisions are made that affect humanity. It means creating an opportunity for the world: when no one is left behind, projects and policies can bring people together instead of dividing them; we can stem the tide of inequality; and we can draw closer to the ideals of justice, freedom and peace. This central focus is a compass for everything we undertake, both on our own and with partners, and wherever else each of us may be involved, whether in our communities, places of worship, political parties, labor unions, and so on. This focus is the key criterion for evaluating our Common Ambitions for 2013-2017. Working toward this central focus involves all of us—activists, allies and volunteers—and particularly the members of the Volunteer Corps, who have a responsibility for supporting all those who take risks in implementing this approach. No one reaching out to the most vulnerable should be alone with this challenge, and all of our teams should be creative in this endeavor. Does our team or group work together and support one another to “go and seek out those who are still missing”? Even when we lack the capacity for our projects to include a greater number of people, do we find ways to welcome new participants who are recognized by other participants as being in situations of great difficulty? What initiatives do we take and what means do we mobilize for this purpose? Do our projects enable the expression and contribution of these people? Does their presence and participation contribute to identifiable changes for themselves, for us, for their community and for everyone? What practices does “reaching the most vulnerable people” imply within ATD Fourth World? Addressing the question in each of our teams or groups of how to reach people who are the most socially isolated by extreme poverty. Supporting each other to reach those whose rights are denied or made subject to conditions, those who are socially stigmatized and discriminated against, and those who are subjected to violence, whether they belong to the local population, or are immigrants or displaced people, living in rural or urban settings. Relying on the strengths of communities that make efforts for everyone to have a place. Evaluating and regularly revisiting our choices so that our presence and action remain open to those who are still hidden, marginalized or who have difficulties participating in what we undertake. Recognizing and supporting the involvement of those who, in spite of their own daily struggle against poverty, remain in solidarity with the most disadvantaged people. Their determination to show solidarity, sometimes beyond their means, is often misunderstood or considered irresponsible by society at large. Providing opportunities both to get to know each other and to find the signs and actions that foster mutual recognition and respect of everyone’s dignity. Beyond our teams and across borders, sharing experiences and ideas for reaching the most vulnerable. Enabling people with an experience of extreme poverty to participate in writing the story of their families, neighborhoods or communities. In writing this collective history of people in poverty and reclaiming their forgotten role, they contribute to recording humanity’s common history in ways that deny no person, no social class, no nation, and thereby prepare peace. What practices does “reaching the most vulnerable people” imply in our links with others who are not members of ATD Fourth World? Connecting with people or groups who are also reaching out to people in extreme poverty in order to learn from them. Raising awareness that the experience, vision and questions of those living in extreme poverty are relevant for guiding development that is truly sustainable. Fostering the participation of people with an experience of extreme poverty, in reciprocity with other stakeholders, in elaborating knowledge in all fields. Continuing to seek out high-level events and dialogues as part of our efforts to enable people living in extreme poverty to be heard by national, regional and world leaders. Prevented from benefiting from the common store of knowledge, people in extreme poverty struggle continually for access to it for themselves and their children. Education for all people at all ages —through schools, access to culture, and ongoing learning of all kinds—remains a priority for all of society because it is far from being achieved. Because people in situations of extreme poverty are prevented from expressing their own experience, they cannot contribute to projects that affect them. Knowledge from the life experience of people in poverty is an untapped resource that is indispensable for developing the Emancipatory Knowledge needed to understand the world and to improve life for all. Wasting the intelligence of women, men, youth and children living in poverty is a serious form of discrimination. The emergence of a knowledge economy and new media open the door to initiatives that will pool the intelligence of all people. These initiatives should: draw on the potential of ever-developing communication networks; and renew the production of knowledge and the ways in which it is taught and acquired through partnership and cooperation among all stakeholders. Education for all becomes possible when all concerned—parents, children and young people, communities, schools and other learning centers—give one another recognition, and interact in constructive and complementary ways. Identifying and recognizing existing life skills (passed on by families, communities and cultures) and their complementarity with the knowledge taught in schools or training institutions. These life skills may have been learned through cultural traditions, from work experience, from knowing how to live together with others, or from a sense of solidarity. Exploring and experimenting within our knowledge-sharing projects, and in schools or training centers, how combining life skills with academic or technical knowledge can help young people and children to grow within their families and communities and prepare them to be citizens of the world. Stimulating the joy of learning together, unleashing hidden potential and creativity to bolster confidence that everyone can learn. Giving extra support to youth involved in disadvantaged neighborhoods to share knowledge through books, art, music etc. Learning to notice and support efforts and initiatives that parents take for their children’s future. Raising awareness that parents are the first partners for their children’s academic success makes it possible for teachers and children’s extended families to act in a spirit of cooperation and complementarity. Identifying and addressing barriers to schooling, such as: hidden or secondary costs for supposedly free education; discrimination and stigmatization in places of learning that increase children’s fear of failure and prevent parents from communicating with the world of education. Making Tapori  better known as a key tool for ending bullying. Developing partnerships with institutions, training centers and alternative or informal education programs that are committed to realizing the right to education for all. Making known the Merging Knowledge approach as one that fosters a relationship between families resisting extreme poverty and all the other actors in their children’s education. Developing our ongoing learning programs to prepare ourselves for an ambitious implementation of these commitments. Making available to people and families we meet the means and the sharpest tools for sharing knowledge. Many people around the world, individually or in networks, are engaged in important explorations of alternative economic models whose aim is not profit or accumulating capital, but fostering the well-being of people and communities, especially the most disadvantaged ones. These efforts to develop a social economy or a sharing economy include: micro-credit, fair trade, cooperatives, mutual organizations or social enterprises. Other projects change people’s daily life with no exchange of money, for instance through voluntary efforts to build homes or prevent flooding, and through networks where people trade services or share their know-how. In continuity with our experience over several generations—and during our 2008-2012 Contract of Common Commitments—working on programs to provide access to professional training and work for populations in extreme poverty,  today we are choosing as one of our ambitions to work together with people living in poverty in order to promote an economy that benefits all people. an economy that respects the human rights of all people and communities, and the dignity of each person and their community values and practices; and that preserves the rights and opportunities of future generations. an economy that does not waste people’s intelligence and know-how, and that does not plunder the planet’s resources nor harm biodiversity. an economy that encourages sharing, solidarity and the cooperation that strengthens social ties and develops the sense of a common good. The projects we develop will vary across the different economic and cultural contexts in which we find ourselves. By doing projects together and living as neighbors, deepening our knowledge of the efforts made by people in extreme poverty to make ends meet, to influence their environment and to connect with their community. Continuing “Working and Learning Together” projects as part of an international network where access to decent work or to various income-generating activities is linked to community building, and to the goals of full employment, decent work and social protection for all. Exploring and experimenting with initiatives for the public good (e.g. access to water, protection of the environment, improvement of housing, etc.) or for fair trade, and promoting community resilience and self-provisioning of food and other goods. Participating in dialogues (with universities, think tanks, business leaders, etc.) about the economy and its regulation, both nationally and internationally. Participating in networks aiming to humanize the economy, and in alternative networks that contribute to shaping an economy for the well-being of all. Providing money or economic opportunity can trigger jealousies that divide communities instead of strengthening solidarity. Together with the people whose poverty make them most vulnerable to these divisions, we must create conditions suitable for them to take part in the projects. Economic projects may require long-term financial and human investments. Failing to plan clearly for this may put a team at risk of losing the trust of the most disadvantaged people. Divergent and controversial views on finance and the corporate world can divide even the most generous and committed people, including some among ATD Fourth World’s most active members. Our work on violence, extreme poverty and peace and our evaluation of the impact of the Millennium Development Goals renewed our understanding of extreme poverty. They sharpened our ability to speak of the unbearable injustice of extreme poverty and showed how people enduring these conditions, and those working alongside them, have made a commitment to working for peace. Ending extreme poverty depends on public organizing and civic engagement in society. Everyone’s efforts are needed, and it is important that everyone have opportunities to show their solidarity in the struggle to respect human rights. By organizing in this way, we can also have greater freedom for working toward social justice by expanding our network of friends and donors to broaden our grassroots funding base. We are in a world of accelerating communication. While this has pitfalls that can sometimes intensify prejudice or create a whirlpool of false perceptions, there are also a growing number of ways for people worldwide to be in touch, to influence one another, and to create positive social change together. We want all our members to be able to take advantage of the possibilities offered by modern means of communication, while remaining linked to those without access to them, and while continuing to stress the importance of people meeting face to face. Learning to integrate communication into the work of all our teams just as we do for fundraising: investing time; experimenting, adjusting and learning by doing without being intimidated by the challenges; collaborating beyond our team to pool expertise in communicating and organizing. Learning about and supporting the involvement of other people or organizations who are close to people in extreme poverty, who take steps so that no one is left behind in their neighborhood or in their children’s school. They are looking for new ways to build a sense of community, one that respects each person and the environment. With these people, we strengthen the movement for overcoming poverty, particularly through Tapori, the Forum on Overcoming Extreme Poverty, and through events for October 17th. Highlighting the meaning and importance of the different ways that allies make a long-term commitment to ATD Fourth World. Inviting the general public to act in solidarity with people in extreme poverty by sharing creative approaches that have been developed by our individual members around the world. Appeals for civic engagement can be made to everyone we meet: as neighbors, parents, colleagues, or as members of the same organization, place of worship, or political party. Making known the life, the work and the writings of Fr. Joseph Wresinski, founder of ATD Fourth World. The power of his call to action remains more relevant than ever as we prepare for 2017, which will mark the centennial of his birth as well as thirty years since the appeal he launched on 17 October 1987. These anniversaries will be a special opportunity for local, national or international public events, and for organizing social change. Developing our capacity for dialogue with stakeholders in different fields. Our societies are built upon economic, public policy, and philosophical and religious underpinnings. Various movements for social and environmental justice also influence the world. In seeking out these dialogues, we should invest in rigorous preparation with others specific to a given context. Making known the Guiding Principles on Extreme Poverty and Human Rights, which are now a reference for our policy proposals. An implementation handbook is being prepared by a group of non-governmental organizations  to help make these guidelines known to community-level workers. It will provide useful examples of using a human rights based approach when working with government policy-makers and practitioners, as appropriate. Making a significant effort to increase the number of friends and people involved with us and measure this regularly. Developing the means to stay in touch with all the people who come into contact with ATD Fourth World, including through public organizing campaigns, and ensure regular contact with supporters and friends by meeting in person and through high-quality information and communication tools (databases, newsletters, tools for personalizing collective emails, websites, etc.). Working towards a regular rhythm of Movement-wide General Assemblies. The International Leadership Team will initiate a reflection on new ways that we can support all our members—allies, activists, and volunteers; sustain our commonality of purpose; and take on responsibilities together. Improving our internal communication, locally regionally, and worldwide. We need to be more in touch to learn from one another’s experiences and thinking, to feel that we are members of an international movement. From the Final Report on ATD Fourth World’s participatory-research project: Extreme Poverty Is Violence—Breaking the Silence—Searching for Peace, 2012, page 15. According to the World Bank in 2012, “At the current rate of progress, around one billion people would still live in extreme poverty in 2015,” World Bank Sees Progress Against Extreme Poverty, But Flags Vulnerabilities. Knowledge from Experience: Building the Post-2015 Agenda with People Living in Extreme Poverty,” working paper by ATD Fourth World, June 2013, page 11. People in poverty give examples of development programs that harmed their lives. “We are being demolished,” said people from the Philippines whose informal settlements are destroyed several times every week by local authorities. With nowhere else to go, they must continually rebuild their homes. The situation is similar in many countries where development projects displace the most vulnerable. In Guatemala, people said, “They evict us in order to plant trees.” Compelled to find alternative solutions, they seek shelter in shantytowns that are destroyed because they are illegal. They are effectively criminalized because of extreme poverty. This questioning is shown in some countries by demonstrations against government austerity measures, in others by the rise of extremist parties, in still others by a paralysis of governmental institutions and widespread frustration with existing systems, as well as by protests against intergovernmental work such as the G-20 summits or the World Bank. Brand, Anne-Claire. Issue 226 of the Revue Quart Monde periodical. Report the UN High-Level Panel of Eminent Persons on the Post-2015 Development Agenda, 30 May 2013. ”Paragraph 38, Guiding Principles on Extreme Poverty and Human Rights. In 1982, ATD Fourth World launched an appeal for the recognition of poverty as a violation of human rights, collecting more than 200,000 signatures. In 1987, Joseph Wresinski asked the UN’s Commission on Human Rights to examine the question of extreme poverty and human rights. Two years later, the Commission adopted a resolution leading to many consultations and reports on this issue. In June 1996, Leandro Despouy presented the Commission with his Report on Human Rights and Extreme Poverty, adopted by consensus with resolution 97/11. This report recognized extreme poverty as a violation of human rights. ATD Fourth World ensured that people experiencing extreme poverty contributed to elaborating these principles, on an equal footing with representatives of states, intergovernmental organizations and non-governmental organizations. Mr. Cassam Uteem, former president of the Republic of Mauritius, was this committee’s president in 2008-2012. The new president is Dr. Donald Lee, former Head of the United Nations’ Social Perspective on Development Branch. In both 2012 and 2013, the UN adopted as themes for the world day the ones proposed by this committee. Former director-general of UNESCO, and chairman of the Foundation for a Culture of Peace. Wresinski, Joseph. Lignes de pensée et d’action, January 1981. These also include the international Knowledge-Action-Commitment team, the Ongoing Learning team, and teams specific to various regions. Within the IJWC, they include the teams working on Fourth World History, the Institute for Research on Human Relations, the Audio and Photo Libraries, and the Wresinski Archive. Nine such country-level evaluations took place, as well as five regional “expertise” seminars, four regional MDG seminars, and three international colloquiums: Working and Learning Together, “Poverty Is Violence—Breaking the Silence—Searching for Peace,” and the final 2013 MDG evaluation. This title is from a proposal made by an activist in Guatemala during the exchanges among groups organized to write these ambitions. The Education for All movement, led by UNESCO, is a global commitment to provide quality basic education for all children, youth and adults. This was demonstrated in a participatory research project on Merging Knowledge between academia and Fourth World People’s Universities in which people with a personal experience of poverty were actors in creating knowledge. Cf. Fourth World-University Research Group. The Merging of Knowledge: People in Poverty and Academics Thinking Together. University Press of America, 2007. Also see, Defraigne-Tardieu, Geneviève. L’université populaire Quart Monde. La construction du savoir émancipatoire. Presses universitaires de Paris Ouest 2012. ATD Fourth World, “Towards Sustainable Development that Leaves No One Behind: the Challenge of the Post-2015 Agenda,” June 2013, pages 15-16 and 23-24. Tapori is a movement of children from different background and from around the world. Wherever they live, Tapori children stand up for others so that all children will have the same chances. This French project is documented in a book by Régis Félix and eleven teachers, all members of ATD Fourth World. Tous peuvent réussir ! Partir des élèves dont on n’attend rien. Published in 2013 by Editions Quart Monde and Chronique Sociale. “The concept of informal employment refers to jobs or activities of production and sale of goods or services which are legal but not regulated or protected by the state. On average in the world, more than half of the jobs in the non-agricultural sector can be considered informal. In some regions, such as sub-Saharan Africa and South Asia, the figure is at least 80 percent. The persistence of this phenomenon prevents employment from having a positive impact on poverty reduction.” Jütting, J and De Laiglesia, J.R. Is Informal Normal? Towards More and Better Jobs in Developing Countries, OECD Development Center, 2009, page 11. Cf. Godinot, Xavier. On voudrait connaître le secret du travail, Editions de l’Atelier/Fourth World Editions, 1995. Report on international Working and Learning Together Seminar, ATD Fourth World, June 2010. L’entreprise réinventée: Travailler et Apprendre Ensemble, Editions de l’Atelier/Fourth World Editions, 2012. 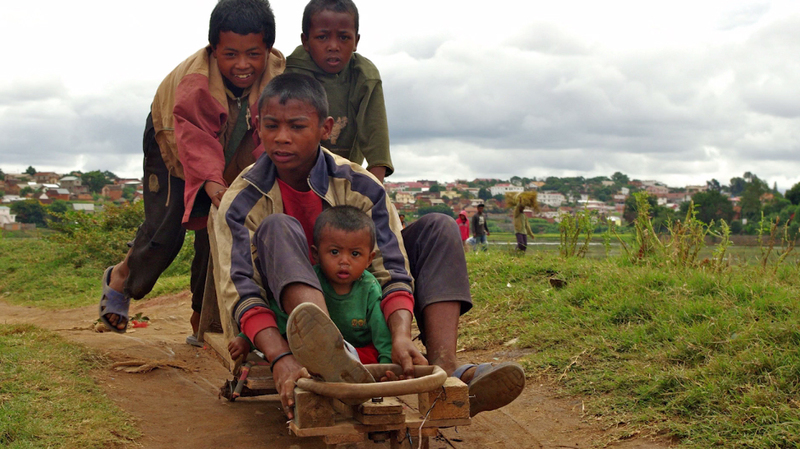 See also the video New Technologies for All about a project in Madagascar in 2006-2010. Advocating for an international mechanism to fund and support their implementation wherever available resources are too limited. In the Philippines, Spain, France and the United States, every year we attract new contacts, friends and donors by using short social media messages and appeals for support during important events. Arab Network for Development, BICE (International Catholic Child Bureau), Center for Economic and Social Rights, FIAN, International Commission of Jurists, International Council of Women, International Disability Alliance, International Federation of Social Workers, Legal Resource Centre of South Africa, PLAN International, and the World YWCA. This project was initiated and is being coordinated by ATD Fourth World and Franciscans International. “Assises du Mouvement” in French.